Some of these trails are Chariot Friendly and will be marked as such below. There are many more trails not on this list but I have chosen my top favourites to help you make the most of your Summer. For more suggestions, check out my other page on Spring and Fall hikes. Most of the trails are under 5km but for the few that are over, a child carrier might come in handy for the return trip or for uphill portions of the trail. I also focused primarily on hikes within driving distance of Calgary. 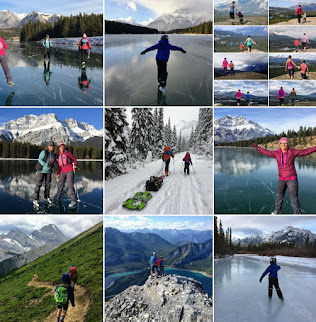 For information on trails in Jasper National Park, please see the story I wrote on our spring trip there, Spring Adventures in Jasper or our summer trip, Family-friendly Summits in Jasper National Park. For information on Waterton Lakes National Park, please see my story, Family Fun in Waterton Lakes National Park. When choosing hikes for this list, I chose hikes that would be interesting to most small children. Trees and stunning views don't do as much for kids as they do for us. Kids want to have fun when they go hiking and for my child, that means there needs to be water, a creek, rocks to climb on, stairs to climb, boardwalks, or other interesting trail features. Most of these trails will be interesting for school-aged children as well and they will certainly find them easier than a 2 year old would. Great if you're camping at Paddy's Flat Campground. 4km one way. Hike as far as you want and return the same way. It's possible as well to do a 2km loop with the Interpretive trail. Trail is Chariot friendly, bike friendly, and has secret little pocket beaches. This is a great trail if you are camped at the Beaver Flats Campground. At 2.6km return most small children should have no problems with this easy hike. It's well maintained, Chariot friendly and Bike friendly. On the walk you'll have plenty of opportunities to look for beavers as you pass a series of beaver ponds along a creek. This is a Chariot Hike and that's the only reason it's on this list. It's really hard to find good Chariot hiking trails and this is one of my favourites. The trail isn't very exciting as you follow an old gravel road but you can go as far as you want on the trail until you get to an opening beside the Elbow River. This makes a nice turn-around spot where we always have lunch and play beside the river. The trail is quite bumpy so I wouldn't bring babies on this one. It can also be very hot so don't go on a day when it's 30 degrees Celsius. Great trail if you are having a picnic at the Allen Bill Day Use Area. It's a 7km loop with 200m of height gain.This is hands down my favourite Chariot Hike though extreme caution needs to be exercised on the steep parts. A second set of hands or a wheel break will come in handy. If you aren't up for a strenuous work-out, just hike it and carry your child if need be. Most preschoolers should be able to hike the trail on their own with a bit of assistance. Note, the Allen Bill Pond area sustained major damage during the flood of 2013. It is no longer a pond. Also, the new trail access is located across from the Allen Bill Day Use access road on the north side of Highway 66. 1.6km loop great for families staying at the Bow Valley Campground. Hands down one of the most interesting trails for small children in the Rockies! For photographers or flower lovers, go early July and marvel in the unique orchids you will see. Boardwalk and viewing platform over the pond is the highlight. The trail is Chariot friendly. To read about our adventures in Bow Valley, follow this link to Bow Valley Provincial Park - Where the Wild Winds Blow. Note that the campground does not open until the end of April. Before then you will have to hike or bike through the closed campground. For information on biking on closed campground roads in spring, read The Bow Valley Biker Gang. Another great hike if you are camped at the Bow Valley Campground or Willow Rock Campground. 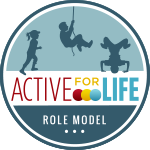 2km return, easy, interesting for children, and absolutely perfect in its diversity. You'll get access to the Bow River, climb up to a view point over the river, walk through beaver habitat, and then finish with a section of boardwalk. It has everything for a hike small kids will love. 4km return, the trail follows a narrow canyon crossing a creek over 7 bridges. You likely won't see the waterfall at the end without a bit of scrambling but it doesn't matter because this trail has everything a child needs on a hike - plenty of water, a fascinating creek they can get close to, bridges, and lots of rocks for climbing on. You'll also get to watch climbers high up on the walls around you. 4km loop with the Hay Meadow Trail and you'll pass by the Kananaskis River. Great hike that is bike and chariot friendly with a pretty waterfall at the end. Trails are wide with gradual hills. You can also start at the Stoney Trail Head for shortest access point to Hay Meadows. Chariot hike! Chariot Backpack! Or just really short hike for small kids to a beautiful backcountry lake. 2.8km return on a gravel road. Elbow Lake Backcountry Campground was our first big backcountry adventure with our son when he was a baby. The highway opens on June 15th for the year. 4.5km loop with 200m height gain. Small children may need assistance on the uphill portion into the cirque but will be able to hike around the cirque by themselves and have a lot of fun running around the meadows. It's one of the shortest and easiest ways to get into the alpine due to the fact that you are starting from Highwood Pass at 2200m. 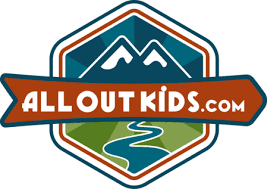 In my personal opinion, This is the BEST hike for families in Kananaskis and one of the most interesting by far. It's breathtakingly beautiful and there are plenty of opportunities for kids to scramble, climb, and explore! The highway opens on June 15th for the year. Beautiful hike to Cat Creek Falls from the Cat Creek Day Use Area on Hwy 40 over Highwood Pass. 4km return on an easy trail that most children will find interesting. Go on a hot day and you might be able to play in the pool below the waterfall. Note that the highway does not open until June 15th. Take the trail marked "easiest" for a great Chariot Hike. Take the harder trail if you plan to hike rather than follow a road. The easy trail is a gravel road. The "harder" trail is the real trail. Clear? I always see families here on the "easy" trail probably scared of what they'd find on the harder trail. What they would find is waterfalls, gorgeous views, and a fun hiking trail with steps carved right out of the rock. It's 4km return with height gain of 125 m. School aged kids will love this hike. Whichever way you choose to hike to the lakes, you'll arrive at the first lake together and then after you've tucked the Chariot behind a tree, you'll hike around the two lakes to a small beach area at the base of some serious cliffs popular with climbers. Chariot/ Hike Combo: 8km return hike on a paved trail followed by a 1km loop through a narrow canyon with bridges, waterfalls, and a creek. There's a picnic area complete with bathrooms at the end of the paved trail. Note, this trail is also bike friendly. 2km loop following 40 Mile Creek right in the townsite of Banff. Great for those times when you're passing by and need to let the kids out to run around. We love this trail and do it multiple times each year. It is Chariot and Bike friendly. Most children 4+ should be able to do this hike with no assistance. Younger children may need to be carried for portions of the trail (especially on the way up). The trail is on the steep side but it's quick and relatively painless at 2.4 km one way and 260 m elevation gain. The views from the top are breathtaking for such a small summit and your children will be able to boast that they've bagged their first peak. 3km round trip to a bridge crossing Stewart Canyon on the shores of Lake Minnewanka. It's Chariot and bike friendly as well as very well maintained. Great short day hike option from Banff or if you are camping in the Lake Minnewanka area. This one is a bit more tricky because you have to take a bus to get up to the base of the ski hill before you can start your hike. The advantage to taking the bus though - very little height gain to reach beautiful alpine meadows that you can lose yourself in. The meadows explode in colour every summer with wildflowers as far as the eye can see. There is a reason that this hike gets ranked as the best hike in the Canadian Rockies every year by tourist magazines. White Mountain Adventures runs the bus operation so contact them for schedules and current rates. It's 4km return to Rock Isle Lake but if you have older children there's a myriad of trails you can spend all day hiking on. You'll get a good map when you get on the bus so that you can plot out your day. At 7km return with almost 400m height gain this barely qualifies as a hike for small kids but the trail is pretty gradual with awesome switchbacks so if you carry smaller children up parts of the trail, they will definitely be able to run down the whole thing. They will also find the tea house at the lake fascinating along with the boulders and bridge over a little creek that flows down to a waterfall below the lake. It's a very pretty setting. Be warned though that this hike is very very very busy so I can only recommend that you go early or go mid-week. If you don't have the energy to trek all the way up to the lake, at least walk a short ways along the Lake Louise Lakeshore Trail. It's 4km return to the back of the lake and easy walking. You could push a stroller along the trail in fact. You can day hike this or backpack it to the Laughing Falls Campground. It's 4km one way with very little height gain. There is one steep rocky section that will challenge your skills pushing a Chariot but especially if you take the kids out and push it up empty, it's not that bad and is feasible. We got two singles and a double up to Laughing Falls Backcountry Campground. En route to Laughing Falls you'll pass giant Takakkaw Falls (second highest in Western Canada), Point Lace Falls, Angel's Staircase Falls and finally arrive at the Falls that the campground is named for. There's no other hike that passes this many waterfalls on so easy of a trail. If you are going to camp at Laughing Falls please know that there is a lot of water surrounding the campground! If you think there's even the remotest chance your child would run into the river were you to turn your head for a second, it's not the campground for you at this time. Our kids were all fine but we knew their personalities and we watched them carefully at all times. FYI, at least as of two weeks ago, Paint Pots is closed due to water washing out a bridge or trail..
That's right, isn't it. Forgot about that bridge. Seems like we lose a bridge every season due to flooding. Maybe I'll take that hike off the list for the moment. i just came across your blog via pintrest and i'm in love!!!! i'm up in red deer and we have a 21 month old BUSY boy who loves to be outside and move. our problem: he doesn't love his mitts-but we're working on this!! what would you suggest as a toddler friendly walk/hike in the banff-canmore-lake louise "ish" areas for this time of year? (late winter-wishfully thinking early spring). we have a back carrier and a chariot (without the stroller attachment at this point) but another pretty winter friendly stroller-although this is not my son's favourite, as well as a little sled. Banff - Fenland Loop is always nice. You can use a chariot if you want but it's short. 2km max. It's right in the town if you are staying there. The walk up Tunnel Mountain is nice but you'd have to use the back carrier and it could be a bit icy depending on snow. Canmore - there are lovely trails right along the river. You could use a Chariot. Heart Creek would be do-able too and you could pull a sled if there was enough snow. It's not chariot friendly. It's a bit longer at 4km return but you could use the back-carrier. Louise - You'd have to do winter hiking this time of year. You could hike up towards the Lake Agnes Tea house if you wanted. We've done that with our son when he was young in a back carrier. It's more elevation gain though, around 350m gain. Beautiful hike though. Just check with Parks office if you should be concerned with avalanches due to warm weather. Otherwise, you can go as far as Mirror Lake safely. Just stopped by Heart Creek yesterday. Last time we tried there was a sign that cautioned us that bears were in the area. This time the trail was barred and signs were posted that the trail was closed due to bear activity. Looked pretty permanent to me. Don't worry David. It's just temporarily closed due to a bear scare last weekend. Some hikers heard a noise and called in authorities to check it out. They couldn't find anything but they closed it just to be safe. There have been bear sightings there and a bear might be trying to protect her cubs. It will open again though. And then it's the same as all trails, carry bear spray or travel in a tight group of 4-6 people, make noise, and try not to scare an animal by being too quiet. You're welcome. Let me know where you end up going and if you have a good time. Check out my story - Spring Energy Shot written in April for more info on those hikes. Thanks for doing this guide. 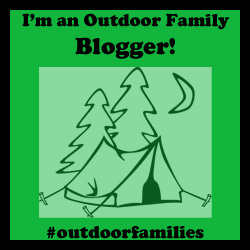 It's so overwhelming to find things to do with little kids outdoors and your postings are very helpful! Thanks. Glad I can be of help. There are lots of beautiful places to hike around the world. However there are hardly as many articles devoted to trails that young children can manage easily. I think that adults also do forget that the things we find interesting may not be as much fun for a toddler. if we look back we will be able to recognize many of the things that were interesting features for us when we were younger. I always enjoyed being able to interact with challenges that were ideal for that stage. These were things that an older person would have taken for granted. I found your site completely by accident - searching for images of The Rockwall trail map and it displayed a picture of one of your boys looking at the Bow River ‘Hiking along the Bow River in Canmore’. A lucky find! My wife and I are from Brisbane, Australia and are visiting Canada in September-October this year with our two girls, age 3 and 6. Your website has been so helpful, giving clear information about the trails and how challenging/interesting they will be for young children! We're starting in Vancouver then travelling to Whistler, Wells Gray Park, Jasper, Banff, Golden then back to Vancouver over a month, spending 3-5 days in each place. We're particularly looking forward to exploring Wells Gray Provincial Park, Highway 93A (Athabasca Falls & Mount Edith Cavell), Yoho National Park and Kootenay National Park. Your website has certainly given us plenty of other options to consider - thanks so much for all the effort you've put into your website. Fantastic article! I would love to take my two sons (8 and 20 months) on a hike around Banff. What would you recommend? Some of the hikes I'd most recommend right now in the Banff area are all closed due to bear activity in the town. But, when trails reopen, definitely the Fenland Trail, Sundance Canyon, and Tunnel Mt. would top out for best 3 for your kids. Fenland is short and super easy. Sundance would allow you to use a Chariot or stroller for at least the first paved part up to the canyon. Then you could carry your 20 month child through the canyon. And oldest could bike the first part too. Tunnel Mt. is just a classic!! I enjoyed this article very much. Great suggestions!! Have you been to Many Springs Trail or Troll Falls post 2013 floods? Are they still Chariot accessible? I'm looking for good chariot trails. Any recommendations? Many springs and troll falls are both good . Did both last year or this spring. Beaver flats, elbow valley is another good one. This is really helpful! Thanks for the info! Just wondering...for my own peace of mind while hiking with my little ones, have you seen many wildlife on your hikes in these areas? I'm thinking of trying out Grassi Lakes, Many Springs and Flowing Water. Are they well traveled enough that bears and cougars tend to avoid the area? We occasionally see wildlife but I think I'm just very lucky at not seeing bears or cougars on trails. Never have in all my years of hiking here. Meanwhile I have friends who see bears often. Like I said, I'm lucky. I wouldn't worry about any of the hikes you mentioned above. It would be rare to encounter a bear or cougar on them. If you are worried, go in a group and make lots of noise. The animals generally don't want a human encounter so if they hear you, they'll run away. The Ink pots are not really stroller friendly. Too many tourists, trail is narrow and you'd block the catwalks which are already crowded, and then past the upper falls it's quite uphill. You'd get one heck of a workout if you took a stroller. Try Sundance Canyon in Banff instead. Park the stroller at the canyon and hike the canyon part on foot. Trail to the canyon though is paved and wide. Just biked it on the weekend and it's a lovely trail. Canyon is beautiful with tons of waterfalls. We have family with toddlers coming from the UK, and will be making our way to Canmore. Your blog is the perfect resource. Thank-you so much for sharing your experiences. Thanks so much. Glad I could help. Thanks for this useful information. excellent post with great resources! This is by far one of the most comprehensive posts i've seen here and look forward to more. Wow! great photos. Kids are very excited for adventures. Some of them get tired and they want to be carried. Piggyback Rider are best standing child carrier backpack. It surely creates a mutually enjoyable, effortless way to carry a child on your back. Thanks. We actually had a piggyback rider when my son was young. In the end just chose to dial down our hikes though until he was old enough for the big stuff. We'd rather do a shorter hike we know our son can do, than do a hike that's too big and end up carrying him. Tnx for a beautiful and helpful blog. 2. Is the 11 km hike to Lake O'hara doable with kids 12, 10 and an almost 2 yr old in a stroller? (16 kg toddler)? I assume they wouldn't want to hike further, so is it worth just getting there? No, the last 4 are not stroller friendly. There is nothing at O'Hara that is stroller friendly and you really do not want to hike the road in. That would be very boring. It's not worth the trip unless you can hike the trails at the Lake. The road has no views. You can take a bus into the lake without hiking the road in, but unfortunately the bus is pretty much sold out for the whole season. We have kids aged 12,10 and 1. We will be camping at Lake O'Hara 2 nights😀. Before that we overnight in Banff and a full day of hiking in which we wanted to see Lakes Louise and Moraine. Which hikes would you suggest we do? Also we booked Hi Athabasca cabin for 2 nights, and would appreciate your advise. I read your wonderful blog. I want to cover the Rockies from as many angles possible. Thank you!! That's quite the age range you have. You'd have to carry the 1 year old in a child carrier and then you could do some good hikes with the older kids. At O'Hara, try to do the Alpine Circuit or at least get up to the Opabin Basin and Lake Macarthur. Lake Oesa is beautiful too. For Banff, try the Sunshine Meadows hike from Sunshine Village. Take the shuttle bus up and it's an easy hike. For Lake Louise, hike to Larch Valley. Best hike there. It starts from Moraine Lake. HI Athabasca is a great hostel. From there you really want to take the sky tramway up to whistlers Summit and hike to the top of Whistlers peak. Beautiful hike!! How about a bike trail in jasper or Banff? We might spend one night in Canmore returning camping gear. Would you suggest the ultimate explorer tour or the one without the Banff boat tour? or would sky tramway to whistlers and glacier skywalk suffice? Would you advise driving to Vancouver through Cache Creek and Fraser Canyon? If you check my blog, I've written whole stories on biking in Banff and in Jasper. All the trails in Jasper are great. And I have a lot of suggestions for biking in Banff too based on your kids' abilities, if they want pavement or gravel, etc. Personally, we found the Banff Boat Tour a little dull with kids. The Tramway is awesome. And the glacier snow coach is amazing. Skip the glacier skywalk. Banff Gondola is nice. Meadows in the sky parkway is awesome. Super beautiful if you do the short hike up there. It's just a short loop. Lots of flowers. Drive to Vancouver via the quickest way I guess. We typically go through Kamloops on hwy 5. Even from Jasper, you can get onto Hwy 5. It's nice through the Wells Grey prov. park. Big waterfalls you can go see. Thank you very much for this blog article, this list has just become my bucket list! So glad I can inspire and help! Your lists are great! Is Heart Creek accessible by chariot you think? Thanks Kristin. Heart Creek would be hard with a Chariot. Many bridges to cross. You did really well in this article. All the places you have mentioned above are excellent and pictures are also very good. I just love these types of place for hiking with my family especially my little angles, my 2.5 year-old daughter Jeniya. She loves walking with me all the time. These types of hiking and recreation are needed for every kid to make their happy and to touch with nature. Thank you so much for sharing this. Thanks Kyle. I need to get out there and see what Paddy's Flat looks like now. Cat Creek remains a fabulous hike to the waterfalls. I'd love to take an adventure here with my kids! Wonderful blog! Great to see you hanging around with bicycles, I'm also looking forward to arrange a tour with my family on a good mountain bike whenever possible. This is a great site! Exactly what I was looking for while searching for an easy hike to do with our 2.5 year old. Thank-you for sharing your experiences and all this great information. Hello! Your list is great. I read this blog and I am sure it's more helpful for 2.5, 3 or 4 years old child. Thank you for sharing this. Thanks for sharing Best Toddler. It will be very helpful for us. Your lists are great! Thank-you for sharing your experiences and information. This is an excellent site! Exactly what I saw for a while searching for an easy hike to do with our 2.5-year-old. Thank you for sharing your experiences and all this great information.